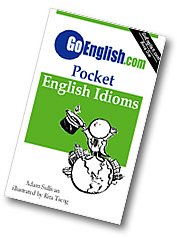 Today's Idiom = "Back Order Them"
To back order is to order some product which is not available right away. Example: "We don't have them in your size today. But I would be glad to back order them for you." One must wait for the arrival of that thing which is back ordered because it will have to be shipped from another place. Example: "Those are on back order. Do you want me to call you when they arrive?"